BingoPlayersUnion.com • View topic - How do I file a complaint? Post subject: How do I file a complaint? Post subject: Re: How do I file a complaint? Hi erikasgee welcome to the forum. Admin has been in touch with me and I will be sending you an e-mail in a few mins advising you as to what is needed to see what we can do for you. Thank-you Sissy, I learned from the best. 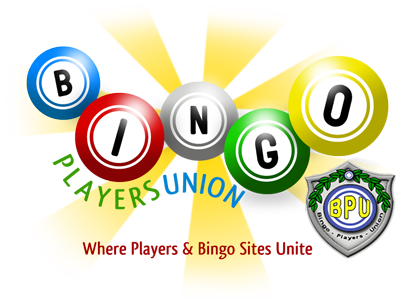 This issue has been resolved between the player and BingoVega. Thank you again erickasgee for posting in BPU. hi there i would like to no how u file a complaint agaisnt a bingo site many thanks. Hi joannegraham. Please state your complaint here and then you can get in touch with me at sherry@bingoplayersunion.com and I can tell you what we need to investigate your complaint. Do you think that complaints are best resoved going to the source at the website where you have had a bad experience or going through BPU first? We always encourage everyone to try and work out their issue with the site first! We will only get involved if this has been done first and issue is still unresolved or the site just refuses to address your issue and ignore you. Well that was nice to see that it didn't take long to resolve that situation. You do good things.